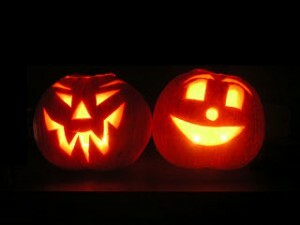 At SLS Consulting, our marketing team is excited to once again celebrate Halloween in and around the Pasadena area! Families of all sizes are gearing up for the holiday as well, and if your little ones are ready to go trick-or-treating, you’ll not want to disappoint them. Finding the right place to go trick-or-treating can be difficult, especially in a city as big as Pasadena. If you’re planning to go out on Halloween night with your family, consider the following areas and pick the one you think is right for you. While not all of Pasadena gets into the Halloween spirit, there are quite a few places to go for great trick-or-treating. In South Pasadena, go to the neighborhoods located along Monterey Road and El Centro Street. Several sections are known to be filled with friendly houses that go all out with Halloween decorations. Additionally, this year is the opening of the Theatre of Terror, a haunted house at the Fremont Centre Theatre. The neighborhoods of Madison Heights and Palm Terrace in Pasadena have also been known to be great spots as well, with many spirited houses clustered together. Neighborhoods throughout the north of Altadena are well-known Halloween spots as well, with a house on Braeburn Road often even providing a haunted house for children. The neighborhood on Armstrong Avenue between Tesla Avenue and West Silver Lake Drive will be closed to traffic to make a safe area for trick-or-treaters. Houses throughout the area will be decked out in detailed Halloween scenes and the streets are sure to be filled with creatively costumed celebrators of all ages. A hub of the rich and famous, houses throughout the area are known to be in the Halloween spirit and ready to pass out great treats. In recent years, neighborhoods from around the L.A. area have been known to bus in kids for all of the good trick-or-treating, so be warned that some residents may be wary. The close proximity of these Halloween themed homes makes it a worthwhile trip. Pasadena makes sure that residents of all ages can celebrate the holiday in grand fashion. For families and children, there will be free store-to-store trick-or-treating in the One Colorado Courtyard from 5 to 8 p.m. Additionally, meet and greets with costumed characters as well as free family photos will be available. A free outdoor screening of Hotel Transylvania starts at 6 p.m. and Beetlejuice at 8 p.m. Wherever you go on Halloween night, stay safe by keeping you and your children visible on the road. Wear bright colors, take flashlights, consider using reflective tape on clothing, and stay on the sidewalks.